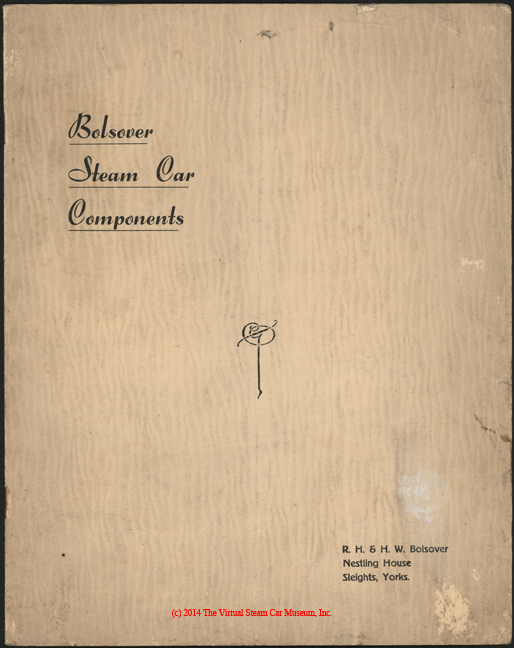 The Bolsover Brothers produced an automobile steam boiler as early as April 1908, when it was featured in The Automotor Journal. During World War II, they offered a boiler for retrofitting petrol cars to steam, and published a catalogue entitled Bolsover Steam Car Components showing this boiler and a light steam engine. The Bolsover Brothers Catalogue, 1942. 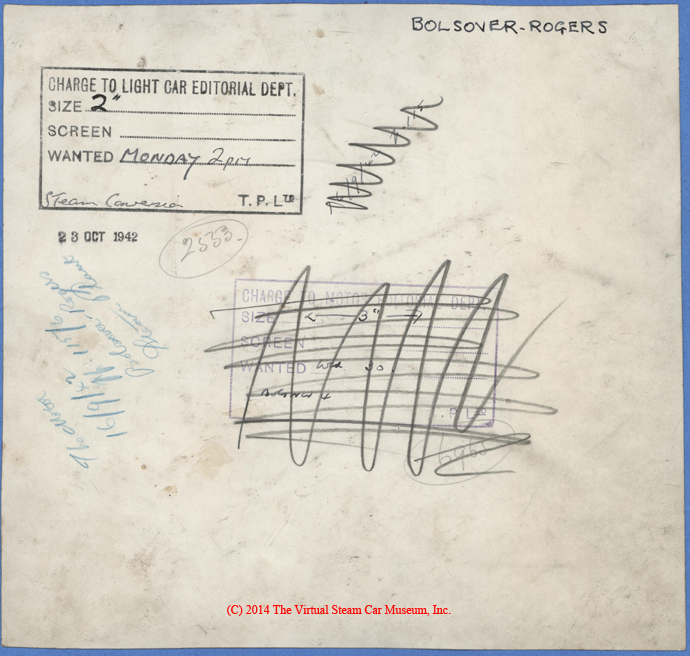 This drawing of the Bolsover-Rogers Steam Engine is dated October 23, 1942. 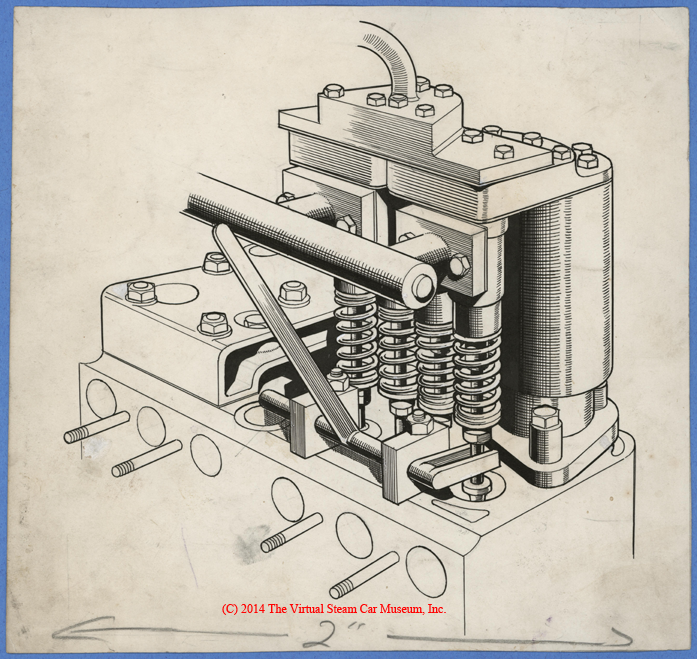 "The Bolsover Quick Steaming Boiler," The Automotor Journal: A Record and Review of Applied Automatic Locomobion, (Vol. XIII, No. 19, Number 383, May 9, 1908), P. 615.